Just how do children learn to make good choices? Hugo's mum will be away in hospital for three days having a baby and Hugo must choose who to stay with during this time - with Granny, with the next door neighbour or with Uncle Jack? Hugo devises a questionnaire and coding system (ticks or crosses for such items as food, entertainment, strictness etc.) but soon discovers the weaknesses of a purely rational approach to decision making: 'The ticks on the clipboard say Mrs Mariposa or Uncle Jack. But my heart says Granny.' Despite all the crosses on her questionnaire, Granny is, after all, the only candidate who will welcome Henry, Hugo's dog, and let him sleep on Hugo's bed 'in case things seem strange away from home for three whole days'. 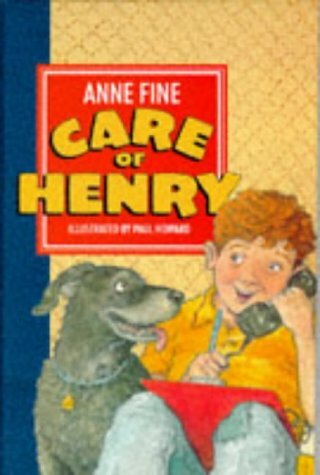 Stylishly plotted and full of social comedy, Fine puts a deft finger on how, by caring for Henry (as the title of this engaging story has it), Hugo devises a way to take good care of himself. Paul Howard's expressive, well characterised pencil illustrations complement Fine's seamless text. Younger readers are too rarely offered treats of this calibre.